Father’s Day is kind of like Labor Day. Everyone seems to be glad it exists, but nobody knows quite what to do with it. Is it necessary to put any serious thought into a celebration? What day does it fall on again? Do men even care? Yes, you read that correctly. Let me explain. One Father’s Day, I was minding my own business in church when the Pastor asked all dads to stand. As soon as we rose to our feet, he asked all women who were “father figures” in someone’s life to stand too. Stunned, I watched as dozens of women suddenly became the focus of Father’s Day. This isn’t an isolated incident. Last year, the toilet paper company Angel Soft made headlines by producing an emotional ad campaign tied to Father’s Day. In it, adult children wish their mom a happy Father’s Day. Why? Because she raised them as a single parent. Now, please don’t misunderstand my frustration with this touching concept. Single moms are basically superheroes. They deserve our unending praise, respect and admiration. But not on Father’s Day. 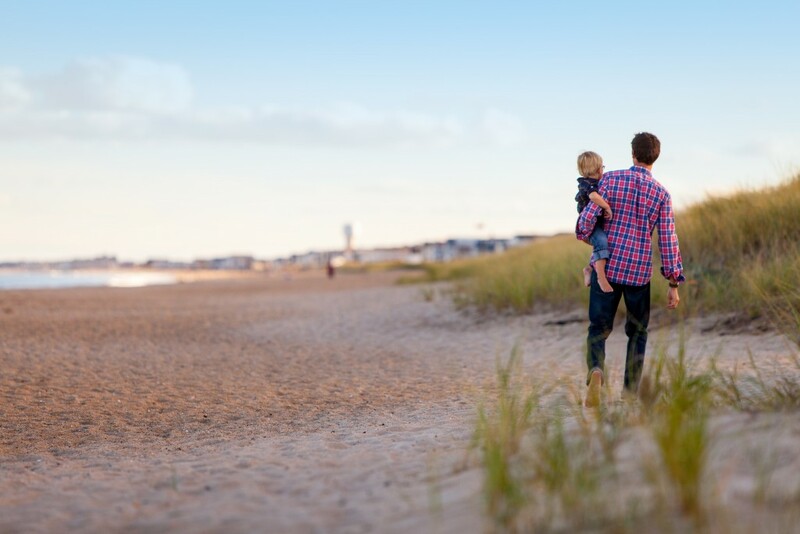 If Christians are serious about things like traditional marriage, gender identity and the importance of fathers, we can’t let the Father’s Day lines get blurry. It’s really pretty simple. Father’s day is for men who have children. Period. Fans of the TV show Seinfeld will remember the hilarious holiday invented by Frank Costanza called “Festivus.” My favorite part of the celebration is called the “Airing of Grievances,” in which you gather your family around the table and tell them all the ways they’ve disappointed you over the last year. I can’t say for sure, but it wouldn’t be a stretch to presume this was inspired by an unwritten Father’s Day tradition. Instead of spending the day praising dads, many pastors preach sermons urging men to “step it up” and be more effective at home. News organizations take time to remind everyone about sad statistics regarding fatherlessness in America. Christian radio shows bring in experts to offer dads a little advice about how to be better husbands and fathers. Am I the only one that sees the insensitivity, degradation and insanity of all this converging on Father’s Day? Could you imagine the backlash if Mother’s Day was used as an opportunity to correct women? It’s an ongoing joke in our culture that really isn’t that funny. What does dad want for Father’s Day? He probably doesn’t care, so just get him an ugly sweater or a new tie and move on. Where in the world does this come from, and why do we as a society find it acceptable? The numbers support the stereotype. In recent years, Americans spent $7.4 billion less on Father’s Day than Mother’s Day. When it comes to getting a card, about 64% plan to get one for dad, compared to 81% for mom. This disparity has been happening for years. I’m not pointing this out to imply I want more gifts. On the contrary, these statistics simply expose the undeniable reality that our culture devalues fatherhood. Your dad may not want anything for father’s day, and probably wouldn’t complain about a lackluster celebration. But I can guarantee he’d love getting a heartfelt letter from you about the impact he’s had on your life. Some quality time doing something he loves would speak volumes. Any thoughtful recognition whatsoever would matter to your dad, because he really does care how you feel about him. Where would young families be without babysitters? My wife and I live a few states away from our relatives, so the only way we can go on a date is through the generously compensated labor of a trusted babysitter. But let’s be sure to define our terms carefully here. When my wife leaves the house and I’m alone with the kids, I’m not their babysitter. I’m their parent. Parents are legally and Biblically obligated to care for their children. So please, for the love of all things right in this world, please don’t ask a man if he’s babysitting his own children when his wife is gone. Erasing that question from existence would be an unspeakably important Father’s Day gift for all men this year. And it would send a clear message to society that men aren’t bumbling idiots who can’t take care of their own kids. Whew. Feels good to get that off my chest. Happy Father’s Day.